3. Why confess to a priest? 4. A God close to our weakness. 5. Stages of the encounter with foregiveness. 6. Celebration of the encounter. 7. Return to the Father's house. 8. Encounter with Christ, dead and risen for us. 9. New life in the Spirit. 10. Let us be reconciled with God. 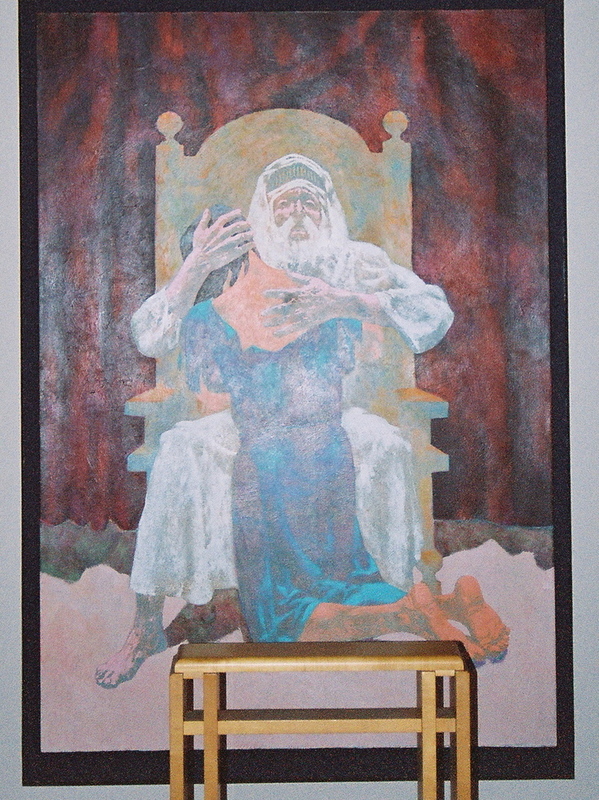 Photo: "The Return of the Prodigal Son" painted by W. Ford Schumann, from the left transept of the Church of the Nativity, Rancho Santa Fe, California.